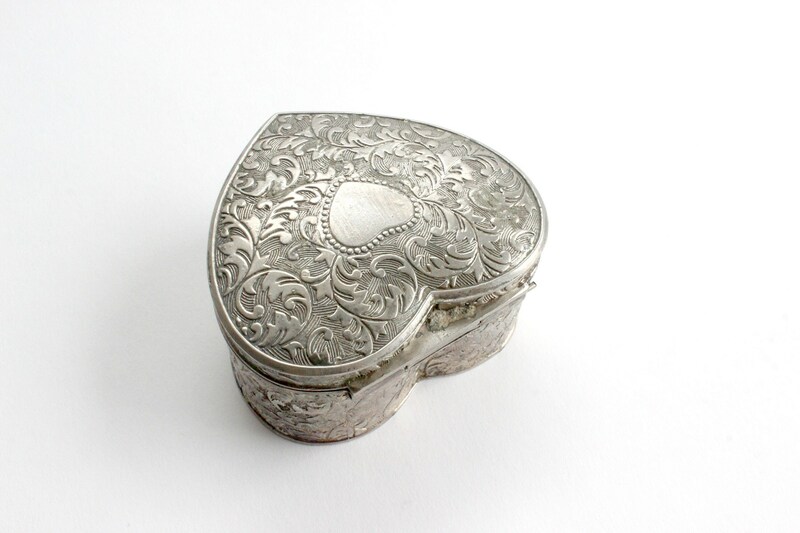 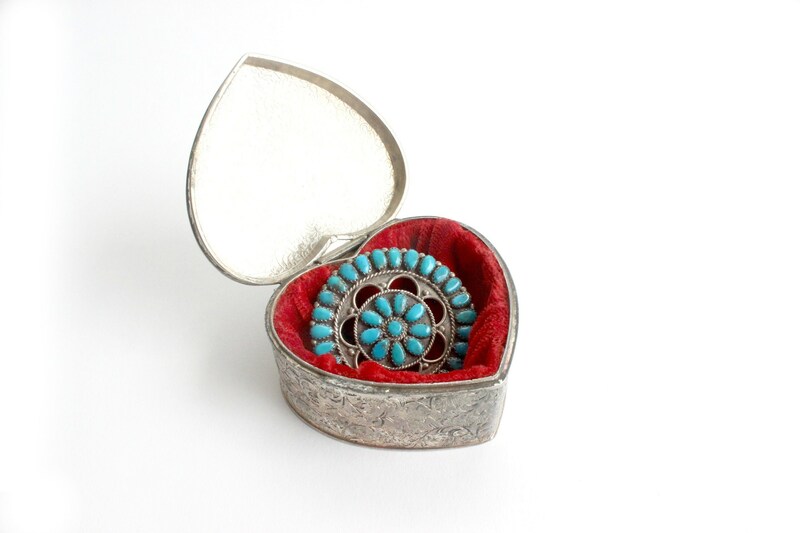 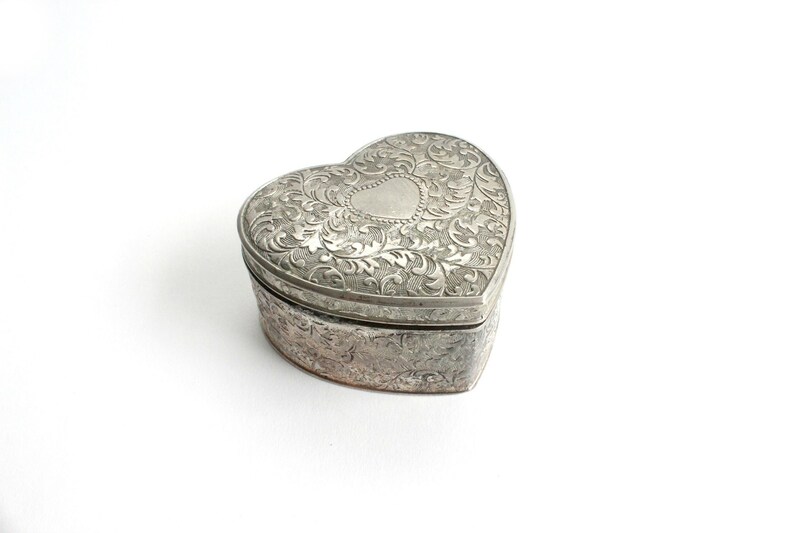 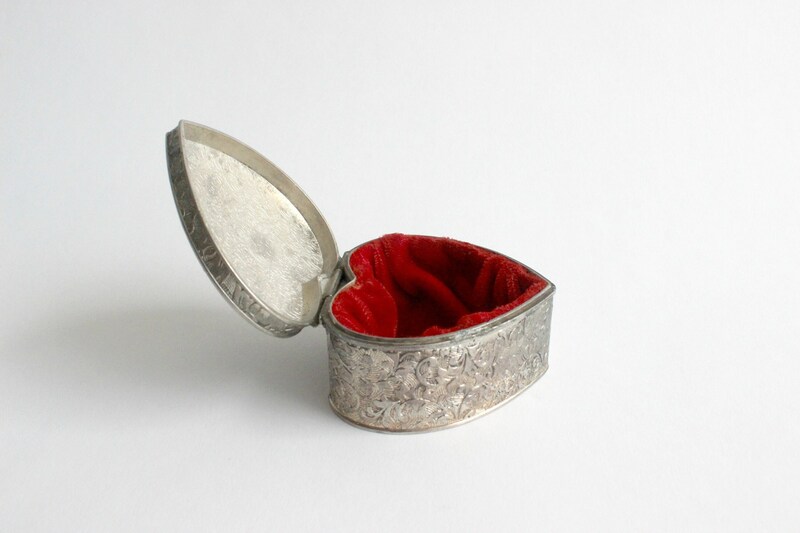 Lovely vintage silver plated jewelry box. 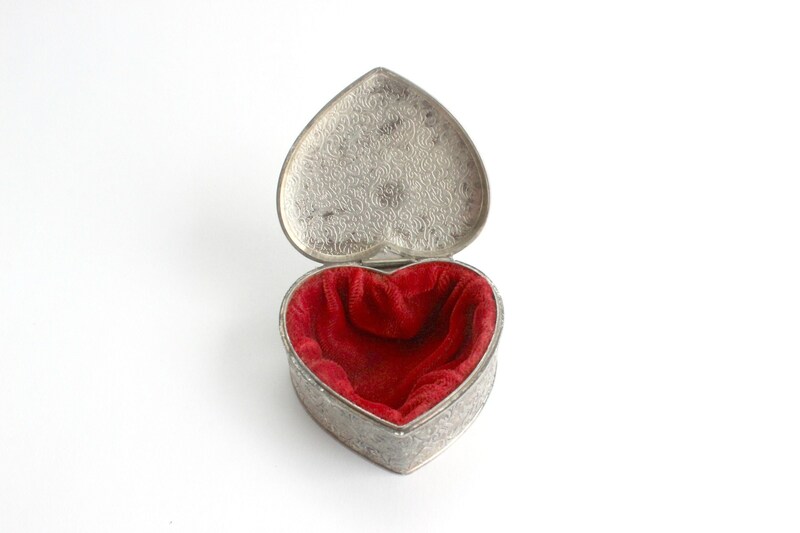 Heart shaped gift box lined with red velvet fabric. 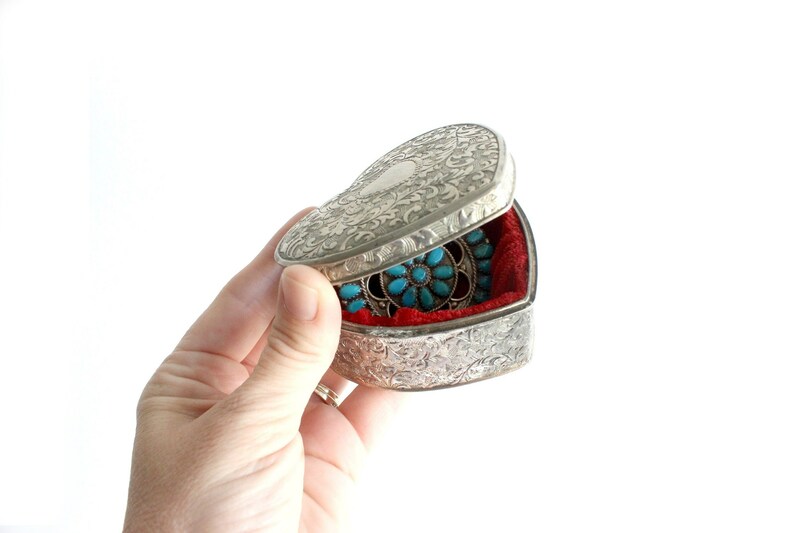 Detailed raised scrolling leaf design. 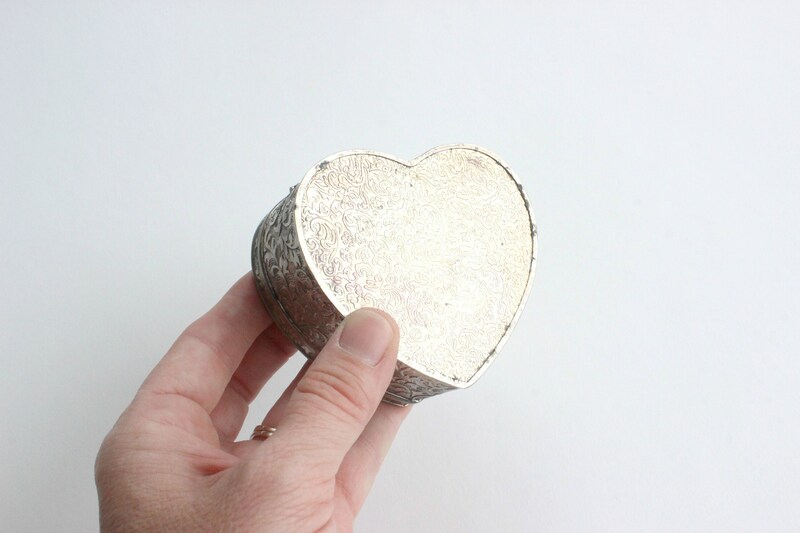 Perfect for holding a necklace or pair of earrings! 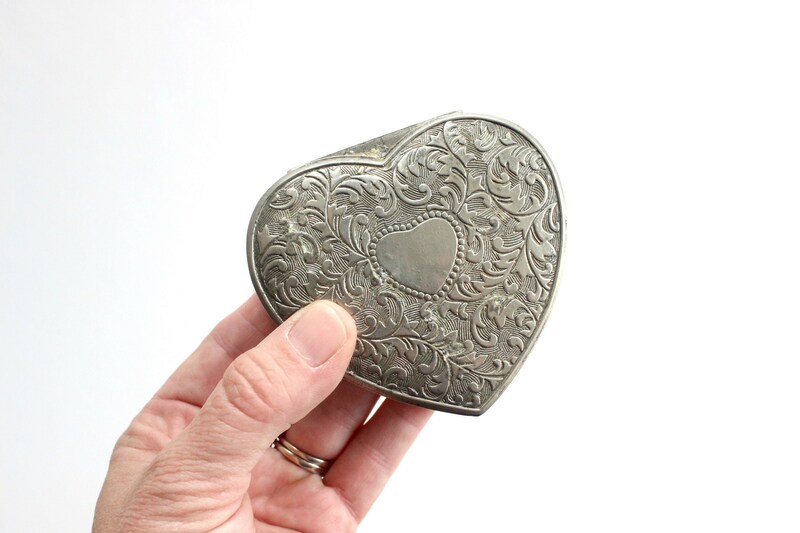 Measures 3 inches by 2.75 inches and 1.5 inches tall.